Show you how to begin writing your first blog posts! 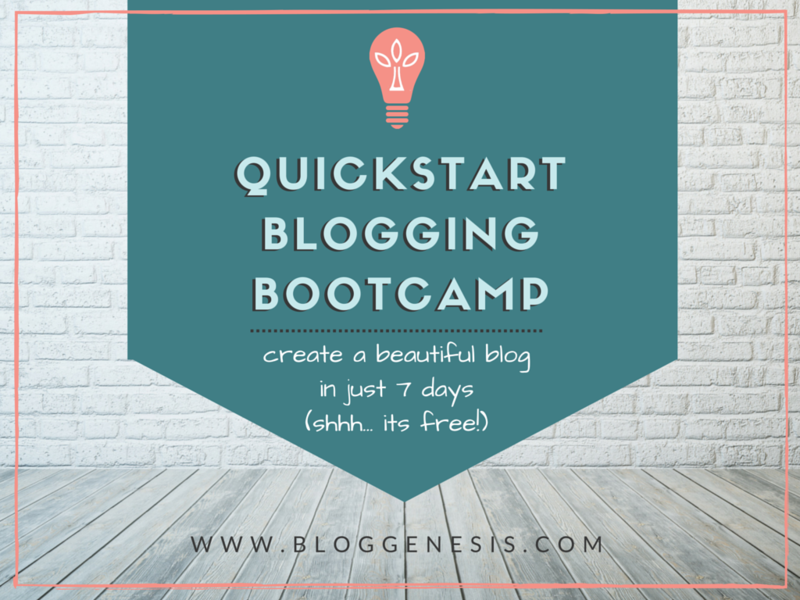 Ready To Start Your Blog, Like Right Now? I’ll walk you through the simple 3 part process – with screenshots and details galore. Its much simpler than it sounds, and I’ll hold your hand through the entire process (unless you think that would be weird). Either way, I’ve got your back and I’ll make it a simple, seamless process. There is a ton of information, tips, strategies and tutorials over at the Blog Genesis blog – that will help you learn to master blogging technology, and build a fan base. They are categorized by my most popular content, and also by topic. You can click the “Blog” link at the top any time to check out the latest. If you’ve exhausted our free trainings and tutorials above and have run into an issue that you just can’t get by – we do offer blog development, design and maintenance services. Whether its a quick 15 minute fix or a custom blog design – we’ll work with you to take care of any of your needs.